This quote by Anna S Stephens speaks my thoughts as I sit at my dining room table enjoying my morning coffee. 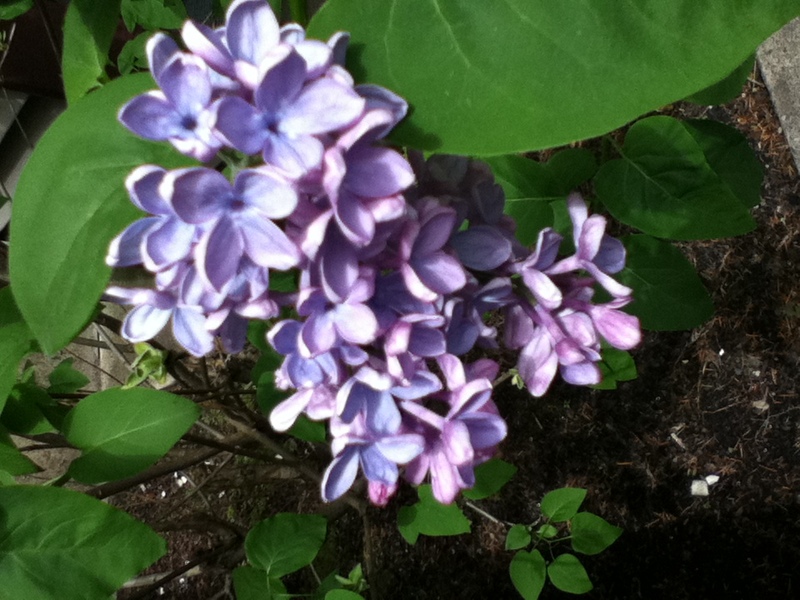 Anna S. Stephens,(1810 – 1886) was an American Novelist and Magazine Writer who obviously loved lilacs. I can imagine her feelings as she penned the words, most probably while sitting near a window overlooking lilac bushes, just as I am now doing. I am sharing a moment in time, just as Anna did so long ago, and it is as if my beautiful lilac bush is speaking to me, inspiring me to write. Yes, lilacs are one of the wonderful gifts God has given us, and we can give thanks to Mary Foster for bringing them to Oregon so long ago when she and her husband traveled here on the Oregon Trail. Mary brought one of the first lilac bushes to Oregon in 1843 and it still lives at the Philip Foster Farm in Estacada, Or. The Foster Farm is a National Historic Site because Philip and Mary Foster were early settlers who played an important part in Oregon’s history. The Farm has several annual events of interest to all. We can also thank Hulda Klager, who was known as the “Lilac Lady”. Hulda loved lilacs and she began hybridizing them in 1905, 15 years later she had developed many new varieties and began sharing them. Though she passed away in 1960 her lilac gardens live on at her now historic home in Woodland, Wa. An annual “Lilac Days” is held there to view the 3-1/2 acres of lilacs that Hulda left for all of us to enjoy.